PC servers will be taken offline on Thursday, December 6th, 2018 at 6 AM PT (1400 UTC) for maintenance. Downtime is expected to last up to 2hours. We are activating the ability to transfer characters between the Connery and SolTech servers. You can do this from the Character Select screen. If you select a Connery or SolTech character then an option should appear at the bottom of the Character Select screen next to the Play option. When it is clicked the game will process a transfer for your character from Connery to SolTech or SolTech to Connery. Please be patient as this can take a moment. 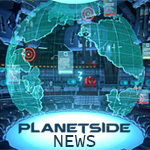 We have done our best to test this system but would recommend you attempt the transfer with a lower value character first and keep an eye on our messaging channels; the official PlanetSide 2 twitter and this forum to see if we are running into problems. We plan on leaving this ability to transfer characters between these two servers on for 30 days. Please don't have your character on the wrong server at the end of this window as we don't currently have any additional transfer windows planned. This is not a system we plan on bringing to any other servers soon or maybe ever. We will need to carefully review the results of this first deployment of character server transfers before we decide how to proceed. Lunar Tires Icon fixed in the marketplace.